This astonishing attire is inspired by Tunnel Snake Rule. 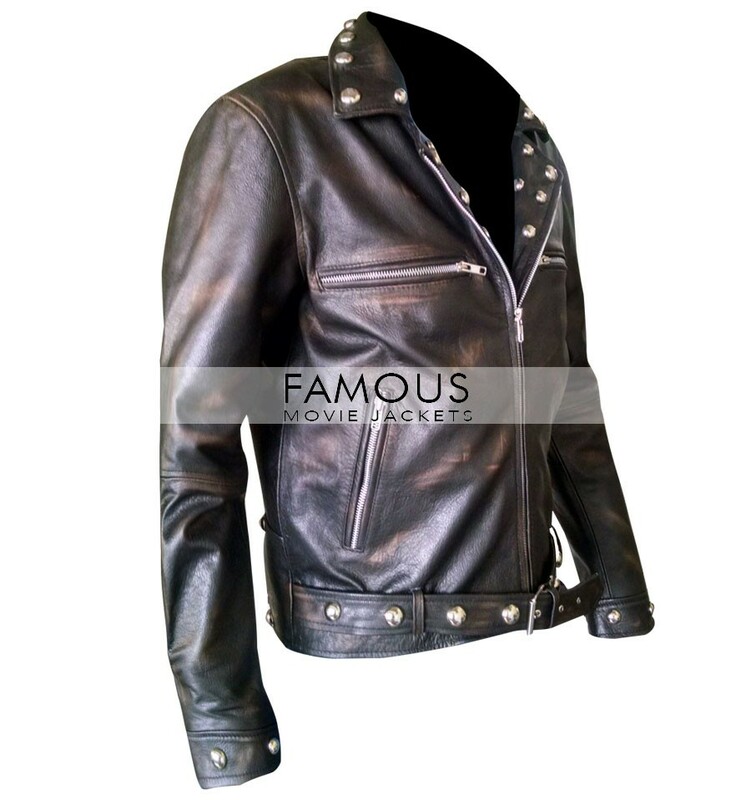 This distressed jacket is made of real leather in black color while its inner is made of viscose. This jacket has embellished lapel collar, front zip closure, embellished belt for adjustment on waist, and four zipper pockets on front and full sleeves with open hem cuffs. 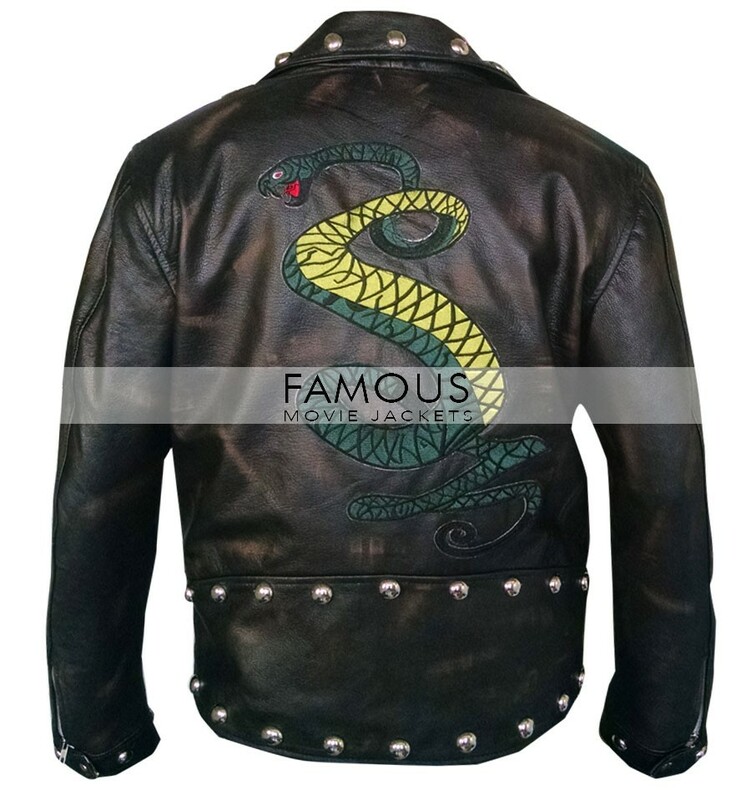 Furthermore, Tunnel Snakes Rule Jacket has snake logo on back. The jacket goes perfectly for your outstanding biker look. 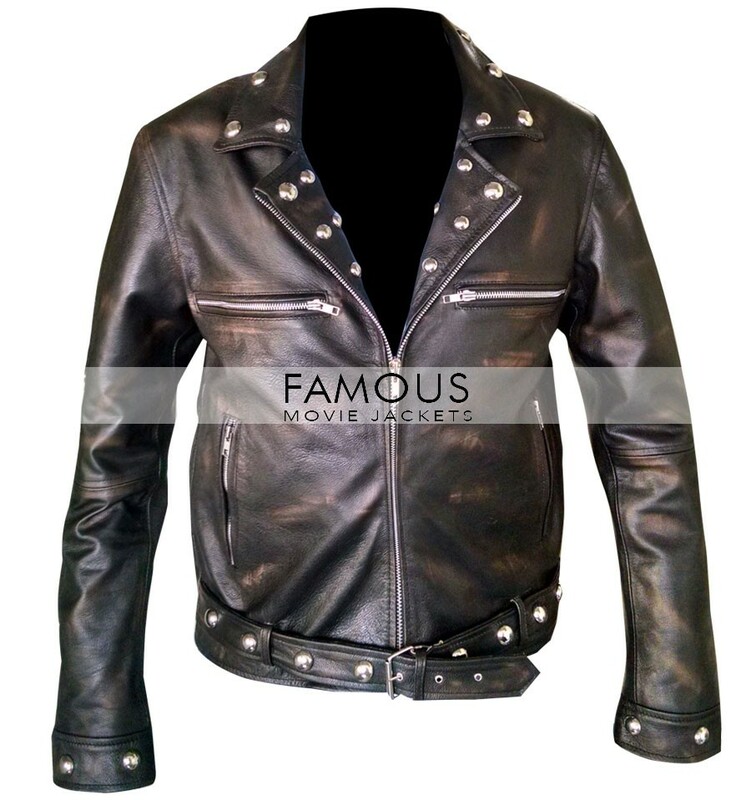 Hence, shop this Leather Biker Rule Snake Jacket and don’t forget to stand out like a celebrity. I ordered this and it arrived and it rules – and now I rule… or at least my girlfriend does as I got it for her. I saw this tunnel snake rule jacket but was hesitant to order it online, gathered courage and ordered now I am one of your highly satisfied customer. It is inch to inch same as I wanted.